Through our experience with Living Waters for the World (LWW) we have been challenged to meet the needs of communities with the need for safe drinking water that could not easily be met with the standard equipment systems endorsed by LWW. The first such community we worked in is an orphanage for boys in the city of El Progresso, Honduras named Pro Nino. This orphanage is home to 70-90 boys ranging in age from 4 years old to their teens. The standard LWW system is designed to fill 5 gallon bottles for distribution, requires an operator and uses electricity. The orphanage at Pro Nino had electricity but no funds for an operator and they required running water (at taps) at 4 separate locations to serve dormitories and the kitchen. We designed a simple system working with established vendors to meet the unique needs of this community. Since we did not use LWW equipment we were advised that we could not continue to use the name Living Waters for the World for the name of this mission. We sought and received permission from LWW to use all of the health and hygiene training materials that have been instrumental to the success of our earlier installations. We renamed our mission that uses this type of equipment design Waters for the Living Lord. 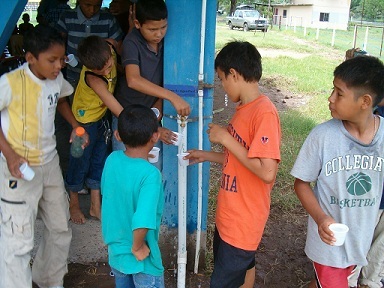 Our second installation was in the mountain village of Concordia, Honduras. Since electricity is unreliable and water pressure is always available (via an elevated cistern tank) we redesigned the system so that it uses no electricity. installed our first system in a village that had no electricity at all! This was at Rio Blanco. It is a very remote place. 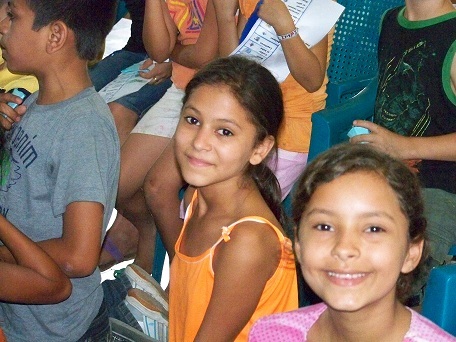 In 2013, we installed a system for a second orphanage in Honduras. Las Casitas is a girl's orphanage in San Pedro Sula. San Pedro Sula is one of the two largest cities in Honduras. It is in a hot, flat, valley. 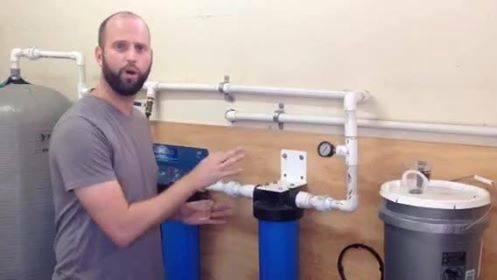 We partnered with Sparrow Missions who completely renovated the water supply system. They put in a new well, new piping to the showers and new bathrooms among other renovations. Sparrow missions also installed water coolers so the purified water would be both readily available and cool. In addition to our experience at Las Casita’s orphanage we have gone on to perform two additional installations in two small mountain villages. Both villages are about 40 minutes from a city with paved streets and neither village has electricity. Since the Waters for the Living Lord system does not require electricity the systems were perfect for them. Both villages had cisterns which collect water during the rainy seasons and the water is piped to the village where the elevation of the cisterns provides the pressure necessary to operate the systems. 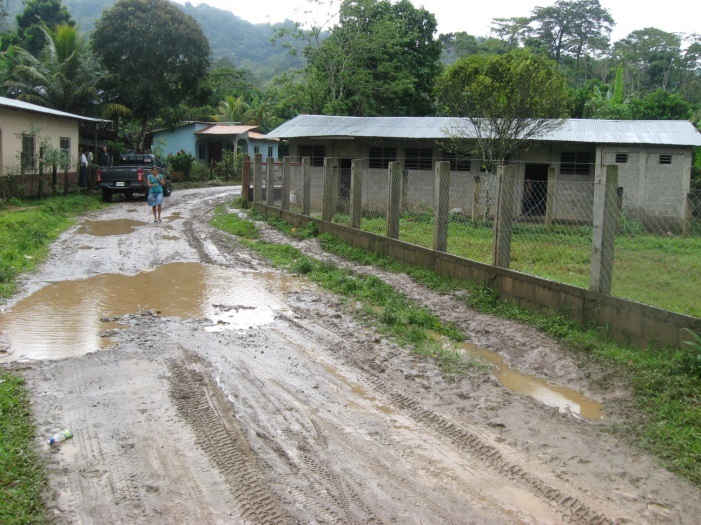 We performed the “survey” at the village of Rio Blanco during the rainy season. The mud was 4 inches deep in places. The kind of mud that takes your sneakers off. The people were very enthusiastic and they quickly began selling water to 80 percent of the village. Next came Montanita. This is a picture of the water building with one of the old water supply valves in the foreground. When we arrived we were told that the entire village was sick with diarrhea and stomach problems. They had just ended the dry season and the water had become contaminated. 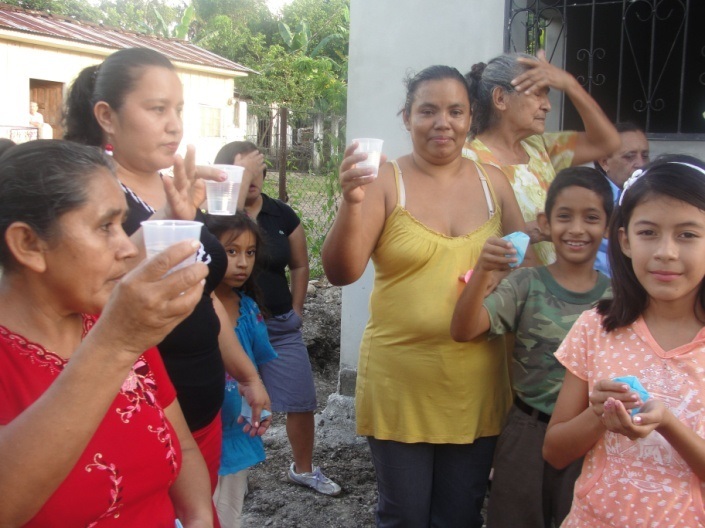 We finished the installation and training in 12 hours and within two weeks 60 percent of the people in the village were using purified water. The villages charge approximately $.25 for a 5 gallon bottle of water and the expectation is that each person will use 1 gallon of purified water per day. Many people from our church have actively participated in the work of this mission. These people include Mark and Stacy James, David Coleman, Dot Kirkpatrick, Ron and Helen Martin, Norris MacKinnon, Paul Adams, David Glass, Allison Underwood, Ralph Thompson, David Jett and Don Dickson. 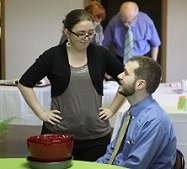 We have also been blessed to have active help from many, many people who are not members of our church. To see a quick video from the Sparrow Mission, click below.